Thanksgiving is coming up and the main event for many families is the big meal. When I was young that was one of the few times each year when my mom would have us get out the fancy dishes and silverware to dress up the table for the occasion. It was always so exciting! 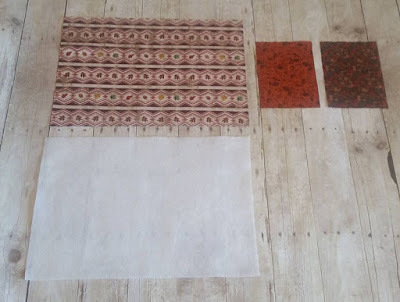 Cut 2 of the main fabric, 13" x 19"
Cut 1 of the Quilting Interfacing, 12.5" x 19"
Cut 1 of the silverware holder fabric, 8" x 6"
Cut 1 of the silverware holder reverse fabric, 8" x 6"
Let's begin by measuring out lines across the front of one of our main fabric pieces. Measure over from one short side 1.5". 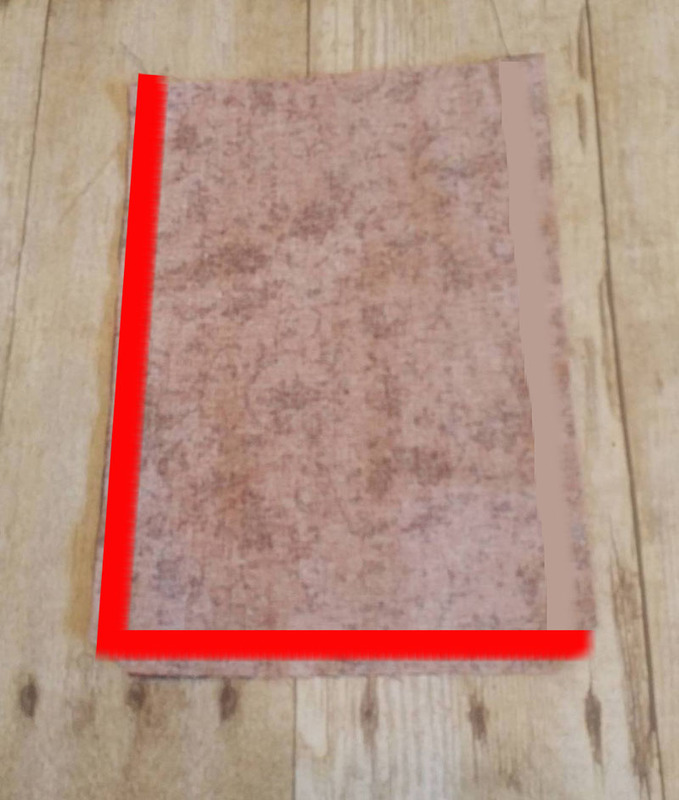 Using a fabric marker, draw a line. Measure over 2" from that line and draw another line. 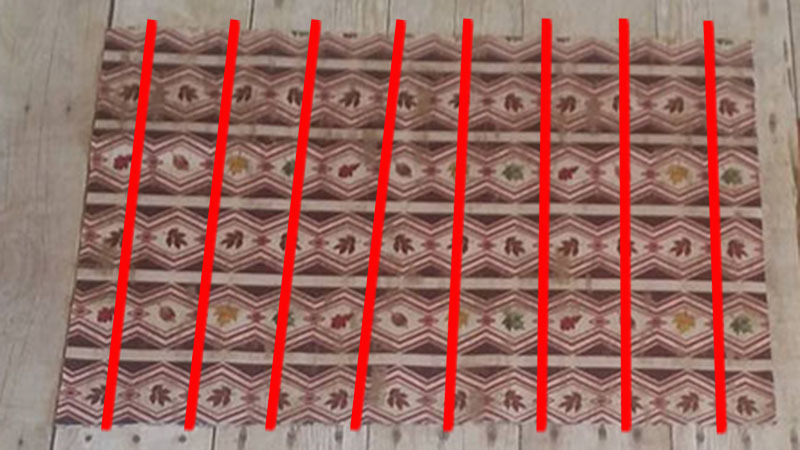 Repeat across the entire piece of fabric. Set aside for now. 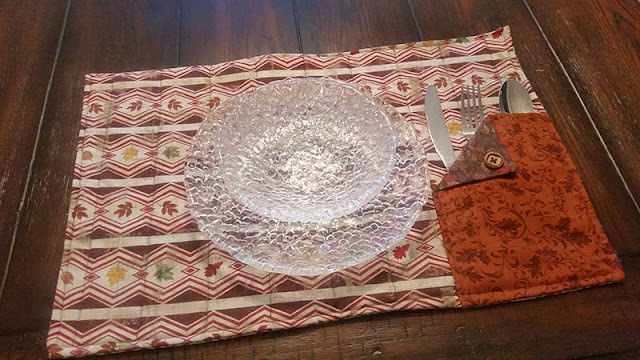 Place your 2 silverware holder fabrics on top of each other, right sides together. 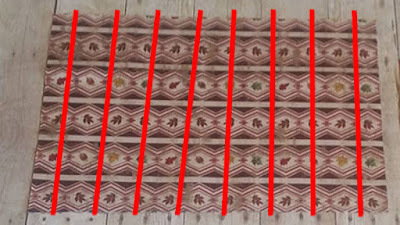 Sew across one short side and one long side as indicated in red. Clip the corner and flip. Poke out the edges with a blunt object and press. 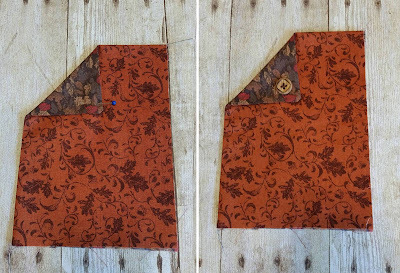 Fold the sewn corner down and press. Then sew on a decorative button through all the layers of the silverware holder. Align the raw edges of your silverware holder with the bottom left corner of your front place mat piece. Pin in place. 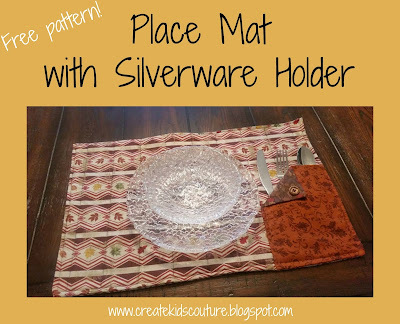 Topstitch down the left side of your silverware holder, attaching it to the top of your place mat piece. Fold the top of your main fabric piece down 1/2" and press. Repeat with the second main fabric piece. 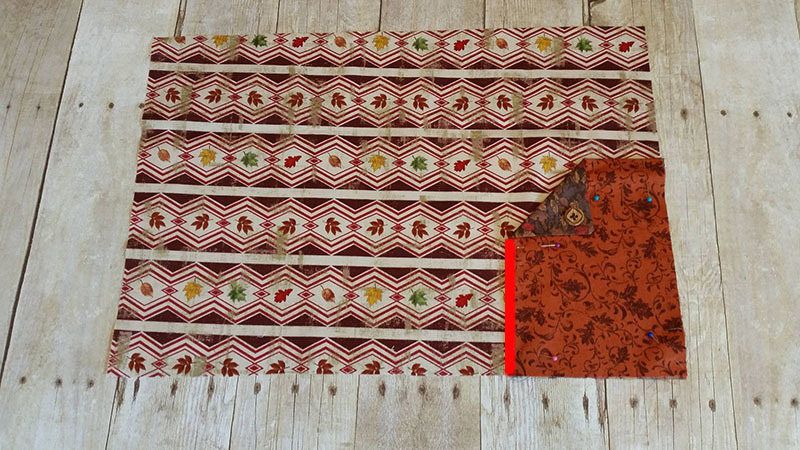 Place the two main fabric pieces on top of each other, right sides together. 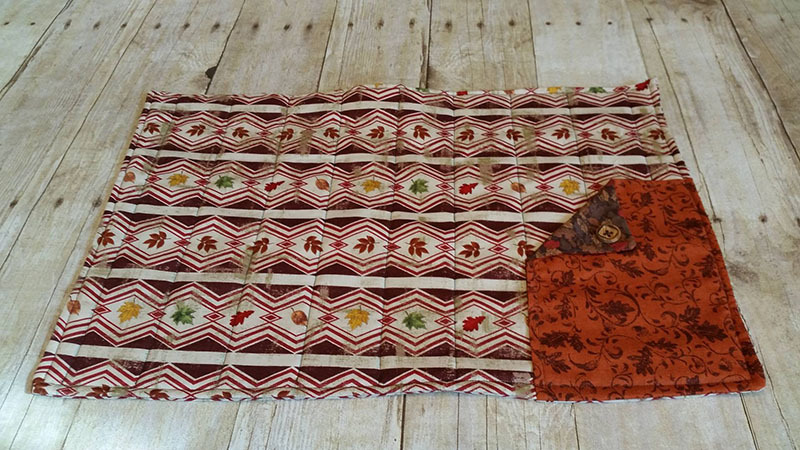 Then place the quilting interfacing on top. 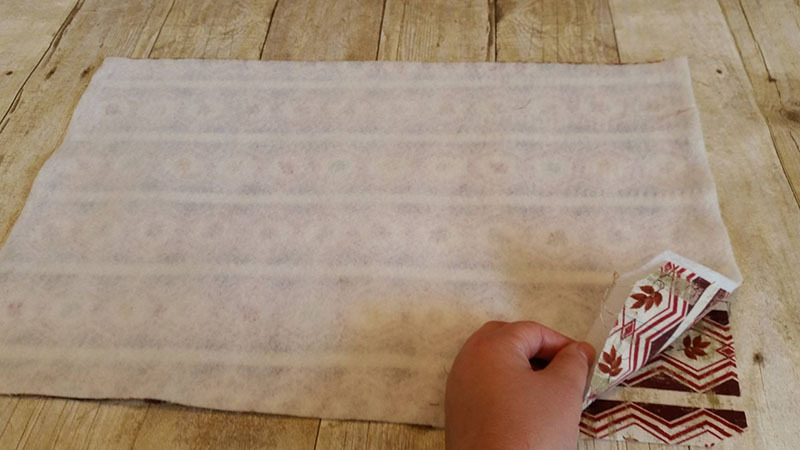 You'll need to make sure the interfacing is scooted all the way to the bottom. Pin in place. 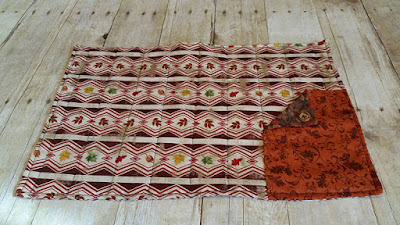 Sew across the two sides and the bottom. Clip the bottom corners and flip. Using a blunt object, push out all the sides and corners and press. 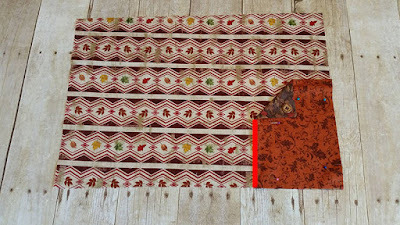 Topstitch around all 4 edges of the placemat, 1/8" from the edge. 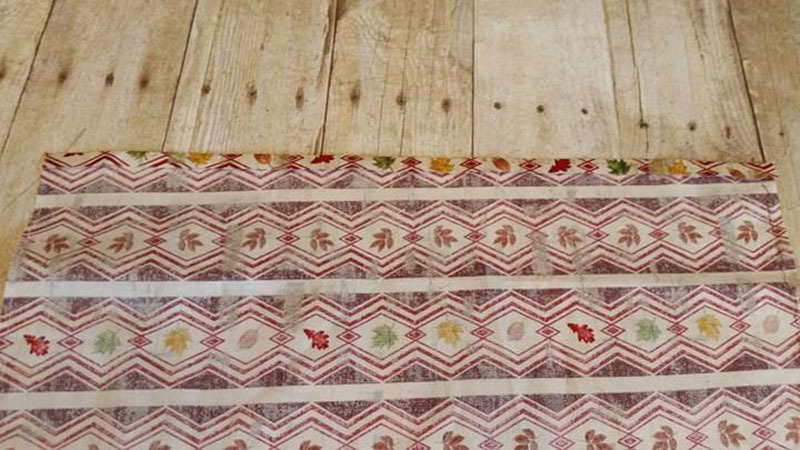 Remember those lines we drew on the front of our place mat piece? 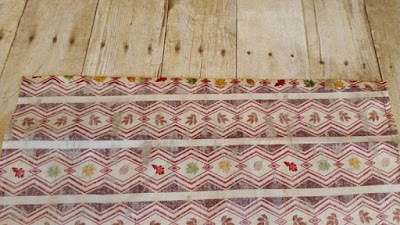 Now we will simply sew down each of those lines, creating a quilted effect. And we're done! Now it's your turn! 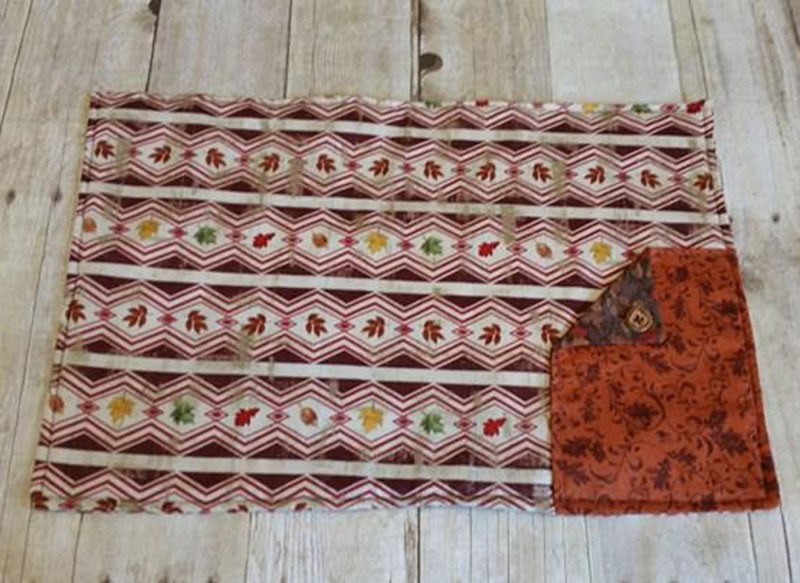 Tiffany and I can't wait to see how you dress up your table using these place mats. 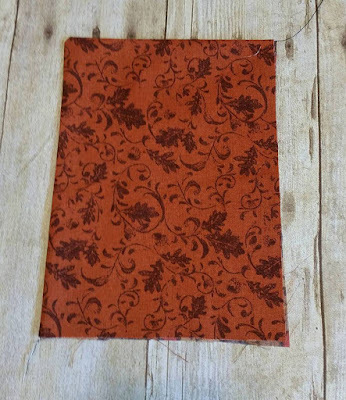 Please come share your finished photos with us in our patterns group when you're done! 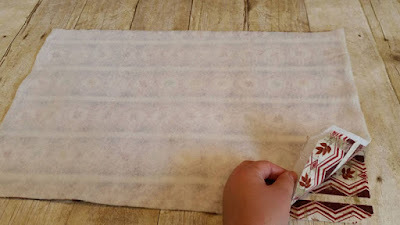 That's our favorite part of blogging free patterns for you. Interesting Blog! 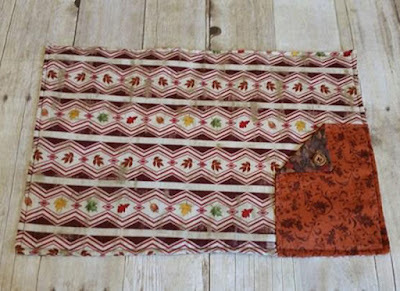 I am thinking of buying a place mat, but from this post I will try to make Place Mat at home. 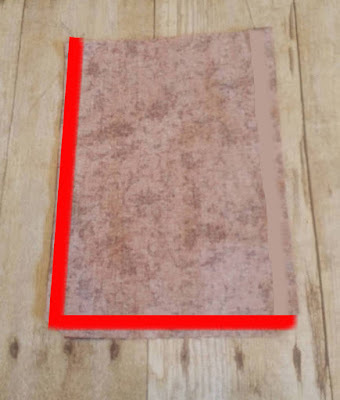 Thanks for sharing the tips and procedures for making a table mat.